Years of experience: +20 years. Field of experience: Management,Finance,Energy Audit ,Sales. Certificates: CEM , CME , ENG. 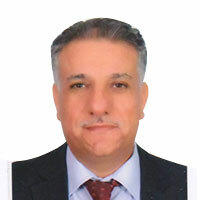 Eng Hasan Suboh is General Manager and Energy Efficiency Expert at Eco Engineering and Energy Solutions " EcoSol " , Hasan holds a Chief Marine Engineer Certificate (Motor) with honor degree from The Arab Academy for Science and Technology and Maritime Transport in Egypt He is a Certified Energy Manager ‘from The Association of Energy Engineers Washington (2010). Certified renewable energy proficinal ‘from The Association of Energy Engineers Washington (2011). Field of experience: Management,Finance,Energy Audit,Sales. Mr. Alkam has a bachelor degree in Electrical Engineering and has over 20 years of experience in energy management serving governmental, industrial, commercial, and residential sectors throughout the Middle East region. His expertise encompasses energy audits, energy saving projects and retrofits, energy efficiency measurement and verification techniques, power systems, street lighting, energy efficiency awareness programs, regional training programs and national energy strategies. He has been involved in many renewable energy technical and feasibility studies as well as CDM services. He possesses substantial experience in assessing the utilization of solar energy in commercial, industrial and residential buildings beside Green buildings design and LEED certification. He was chosen on several occasions to be a speaker at conferences, workshops and seminars related to energy and electricity sectors in the Middle East. Eng. Amjad worked as LEED Director including LEED Commissioning Authority for many projects in Saudi Arabia and the region. Eng. Amjad has conducted many energy audits and managed the implementation of several energy saving projects in Saudi Arabia, GCC and Jordan. He is very familiar with energy efficiency retrofitting potential opportunity and obstacles in Saudi Arabia and the Middle East region. Position: Head of marketing and business development Dep. Field of experience: Project Management,PV,Energy Audit,Design,Marketing. Certificates: CEM , CMVP , REP , CEA , CRM , PMP , RMP , CEH , MBA , ENG. 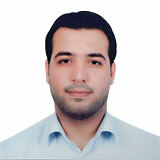 Member Name: Mouhammad Yousef . Position: Head of renewable energy Dep. Years of experience: 5 years. Field of experience: Management,PV,Energy Audit,Design,Sales. Certificates: CEM , REP , ENG. 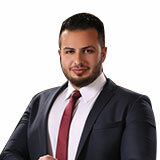 Mohammed Yousef is a qualified engineer holding a bachelor of electrical engineering (Electrical Power Engineering) degree from Balqa’a Applied University. He has a 5 Years of experience in Field of Energy Management, Renewable energy systems. Mr. Yousef Acts like Renewable energy section Head at Eco Engineering and Energy solutions ECOSOL. 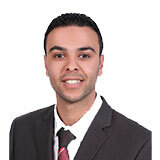 Mohammed is accredited by holding the following international certificates: CEM, REP. Position: Head of energy management Dep. Certificates: CEM , CMVP , REP , ENG. 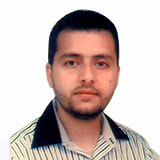 Anas Al-Asmar is a senior Energy Efficiency Engineer holding a bachelor of Mechatronics engineering degree from the University of Jordan. He has a total of 7 year of experience; 2 years of them as plant engineer and 5 years in Energy Efficiency and Renewable Energy market. Anas has been a member of the Association of Energy Engineers; AEE (Atlanta, USA) by holding the accreditation of Certified Measurement and Verification Professional (CMVP), Certified Energy Manager (CEM) and Renewable Energy Professional (REP). Anas has worked as a project engineer for more than 50 energy efficiency projects for different sectors, and as project manager for more than 15 projects; including Energy Auditing, implementation of energy management programs and conducting Measurement and Verification procedures. Anas has an intensive experience in renewable energy, mainly PV system design and installation. 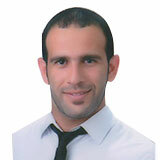 Anas also has a deep knowledge and experience in lighting system design, control and lighting retrofit projects. 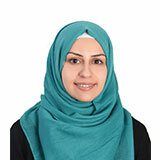 Member Name: Neda’a Al Buti. Years of experience: 11 years. Field of experience: Management,Office Work,Timing and Schdualing. 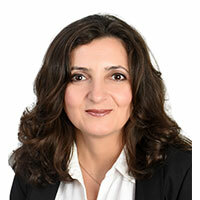 Neda’a Al Buti is an Executive Secretary holding a Diploma of Financial & Banking Science degree from National College. Neda’a has a total of 12 years of experience as an Executive Secretary. She has accredited by holding the following certificates: Computer Science from Ocean Cultural Center, Developing, Marketing Plans & Proposal Writing from USAID. Years of experience: 4 years. Field of experience: Management,Office Work,Marketing. Reham Saabneh is a Junior Energy Engineer holding a bachelor of electrical engineering (power and control) degree from Hashemite University. She has a total of 4 years of experience as an Energy Engineer Specialized in Energy Management & Renewable Energy Services at EcoSol. Reham is accredited by holding the following international & local certificates: Renewable Energy Professional (REP), Planning, Design & Communication for Small and Medium PV Plants from SMA Solar Academy, Investment Grade Audit Workshop from USAID. Years of experience: 2 years. Field of experience: Management,Design,Site,Office Work. 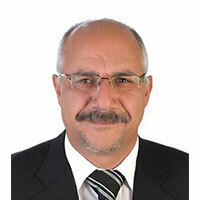 Oday Adas is a qualified engineer holding a bachelor of Mechanical engineering degree from Hashemite University. He has a total of 2 years of experience of energy efficiency, energy auditing, and Photovoltaic systems. Oday occupied the position of energy engineer for one and a half year. Oday is accredited by holding the following certificates: CEM, Buildings Mechanical systems design. “My believe is that, anyone who has never made a mistake, never tried anything new. Years of experience: 1 years. Years of experience: 3 years. 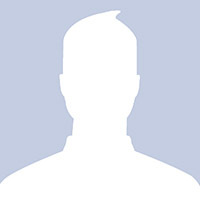 Member Name: Seraj Abu Doleh. 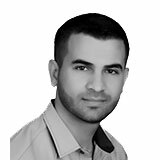 Seraj Abu Doleh is a qualified engineer holding a bachelor of Electrical Power engineering degree from Al-Yarmook University. He has a total of 2 years of experience of energy efficiency, energy auditing, and Photovoltaic systems. 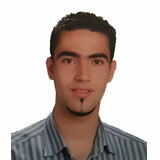 Seraj occupied the position of energy engineer for one and a half year. Passion. Creativity. Productivity. That's what really makes the difference at ECOSOL. We are continually searching for brilliant employees with an entrepreneurial spirit, looking for a work culture where innovation is the goal, hard work is expected, and creativity is rewarded.